Automated pill dispenser producer PivoTell came to GQ for a subtle brand refresh and the design and production of a flexible display stand that could be adapted to suit various exhibition spaces. We stripped back and refined the existing logo to achieve a cleaner, more contemporary one that was still recognisable as the PivoTell brand. 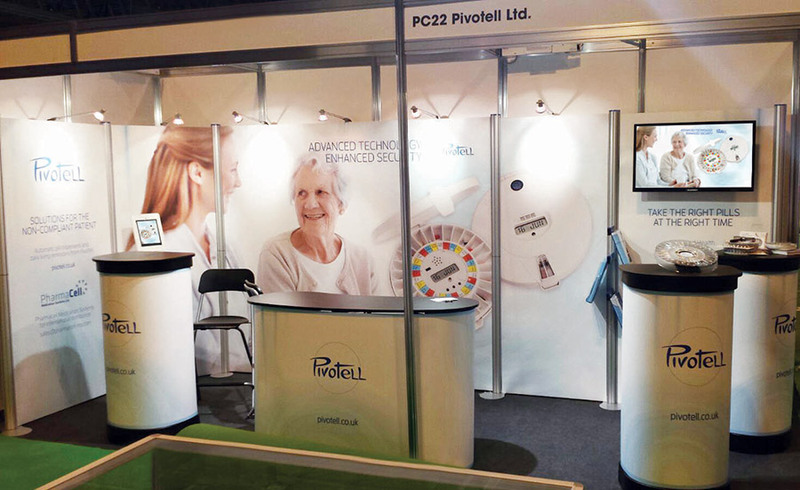 We carried this look and feel across to the stand design – fresh, modern and uncluttered – with a modular display system that can be broken down and modified for any of Pivotell’s upcoming events.